I hadn't known how much faith I'd lost in medicine until I felt the impact of those words. The lack of validation and support in my medical experiences over the years had actually formed a belief within me that told me I was stuck with my health issues for life. Even more disconcerting to me than discovering this negative belief was how I had unknowingly resigned myself to it. I had actually created space in my life to accommodate these health issues because they were with me for the long haul. Absorbing my friend's words was like waking up from a long sleep and realizing that what I thought was true had all been part of a bad dream. With a renewed sense of confidence, I began doing research. This time around I decided to look specifically for a doctor specializing in women's health. I had been going to female doctors exclusively for years, and although their specialties varied, their bedside manners didn't. I hoped that a doctor dedicated to women's health might have more compassion for women's health issues. In the course of my research, I came upon a practice called WomanSafeHealth and was immediately drawn in by the name. A quick trip to womansafehealth.com and I was convinced that I found the place I had been lulled into believing did not exist. Further reading only heightened the sense of excitement I was beginning to feel. “We welcome women and girls of every age and ability, size, shape, color, sexuality and identity, from all social, spiritual and cultural backgrounds...We welcome all women, including those who feel unwelcome in other medical settings and those who have experienced physical and/or sexual violence or disrespect.” The website was a wealth of valuable information for the woman leery of the health care system. The site provided detailed descriptions of the diverse services they provide, photographs of the space and practitioners, as well as biographies of the women practitioners. It also highlighted that the practice had been built using sustainable and non-toxic materials, something of great importance to me. I was delighted to find a page dedicated to health care anxiety and a series of downloadable “Empowerment Pocket Guides” that women (really anyone) can use for support when seeking medical help. WomanSafeHealth got it: Health care can be cold, anxiety-forming, and sometimes even downright scary. Not only were they acknowledging these issues on their site, they were giving women free tools to help them deal with the reality of them. I was convinced I had found the right practice. I called to make an appointment and spoke with Stephanie, who introduced herself as a nurse and acupuncturist. I summarized my health concerns and she listened intently, asking questions as we spoke. She mentioned some possible causes of my health issues and said that she would be happy to schedule an appointment for me to see Dr. Shadigian, who could offer more insight about my concerns after an examination. I was grateful for Stephanie's mindful approach and pleased that she had the time to listen to me and offer feedback. Though I had only expected to make an appointment, I got off the phone feeling a sense of reassurance that I might finally receive answers to my long-standing health questions. I showed up for my appointment and was impressed to discover that the door remains locked at all times for women's safety and privacy. I rang the doorbell and Stephanie promptly came to the door and greeted me. She introduced herself and gave me a brief introduction to the space, which was open, peaceful, and warm with natural light coming through the front windows. It was clear that a lot of thought had been put into creating an atmosphere of calm and safety. I sat down on a plush couch in the waiting room and filled out paperwork, taking in the live plants and décor, as well as the Zen rock garden that sat on a tray in front of me. Upon finishing my paperwork, Stephanie took me into an office where she took my vitals and asked some questions. She was very excited for me to meet Dr. Shadigian and was confident I would connect with her and her client-centered approach. Moments later Dr. Shadigian came bustling in. A petite woman with long sandy brown hair and a wide smile, she introduced herself as Elizabeth Shadigian and shook my hand firmly, saying, “You can call me Elizabeth.” She took me into her office, which was part exam room and part consultation space. Like the waiting room, the space was warm and inviting, with soft colors on the walls, comfortable furniture, and bamboo cabinets. I sat down on the couch and Elizabeth sat opposite me in her office chair so that we were at eye level. She explained to me that she liked to sit that way to connect with her clients and put them at ease, which was definitely working on me. She then explained a little bit about her space, about the custom built cabinets and lack of plastic and her efforts to create a safe and welcoming environment for her clients. She pointed out the overstuffed exam table that looked more like a comfortable massage table and mentioned that all the towels and robes were all 100 percent cotton. She also noted the aromatherapy sprays and Bach flower remedies on the end table that are available to clients who may have anxiety about being examined. From there she proceeded to embark on our hour-long visit by asking a variety of questions about my life. In addition to asking about the health concerns that brought me in and my past health history, she asked about my occupation, my relationship with my husband and family, my eating habits, and whether I had ever been a victim of violence or abuse. The answers I gave to each question led to more questions and Elizabeth wrote notes frantically as I spoke. Throughout the visit she repeated some of my answers to confirm that she heard me correctly and nodded her head in validation of my experiences as I spoke. I was amazed at how much time Elizabeth devoted to uncovering who I am and where I am in my life. Unlike other doctors I had visited, I was the one who spoke most throughout the visit, and Elizabeth was fully engaged in what I spoke about. Exam time came near the end of the visit and Elizabeth explained to me what she would be doing and why. She asked if I had any questions about the exam and if I had any anxiety about it. She reminded me of the aromatherapy sprays and Bach flower remedies and let me know that Stephanie would also be in the room to offer support if I would like. During the exam Elizabeth was very gentle and asked questions at every stage: May I touch your leg? Are you doing ok? She was very conscious of my experience during the exam and spoke to me throughout, making me feel like I was a partner in the exam instead of an object being studied. After the exam, when I had changed back into my clothes, we sat down again and Elizabeth summarized our visit, gave feedback, and explained the various forms of treatment available, including both conventional and alternative options. When I expressed the importance of natural remedies in my care, Elizabeth honored my need and spoke of homeopathic and herbal remedies, as well bodywork such as acupuncture and massage, which are also available at her practice. She wrote down “homework” for me to do between then and our next visit and told me that she has helped many women overcome the issues I was dealing with and was confident that she could help me too. For the first time in a long time, I entertained the idea that I could heal from my issues and believed that Elizabeth genuinely wanted to help. Upon leaving she told me it was a pleasure meeting me. The pleasure had definitely been mine! I left the building and got in my car. The moment I closed the door I found myself overcome with emotion and began to cry. I had been brought to tears in my previous experiences with doctors, but never for reasons like this. As I sat in my car and let the tears fall down my face, I felt relief and gratitude for having found someone who finally took the time to listen. I opened my heart and let hope in, as I let it sink in that I'd finally found an ally on my healing journey. Dr. Elizabeth Shadigian is a special kind of doctor, the kind our health care system needs more of. A feminist and activist, she is motivated by the injustices to women she has found in our health care system, and is driven to provide supportive and individualized health care to each of her clients. 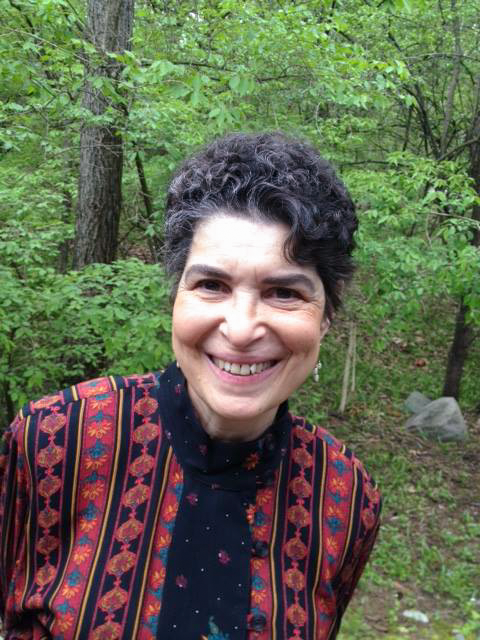 With a medical degree from John Hopkins University, residency and board certification in obstetrics and gynecology, and 15 years on the faculty of University of Michigan Medical School, including 12 years of caring for women, Dr. Shadigian is well acquainted with the standards and limits of our national health care system. “In the current mainstream medical systems, health care is ‘self-serving,’ as opposed to serving the needs of individuals, especially the unique needs of women. Most health care professionals regularly disrespect and diminish women in deference to an employer/medical industry that has patient care last on their list of priorities, but patient numbers first,” says Dr. Shadigian. She has dedicated her career to providing women the personal and thorough care they deserve, and since December of 2007, has been offering it through her personal practice at WomanSafeHealth. Article Sidebar: Getting to Know Three More Practitioners at WomanSafeHealth (click to read). This style of health care has far reaching effects on women who are facing a health crisis, or who are simply trying to take care of their bodies and well-being. Dr. Shadigian sees the negative impacts of it all the time. I can't really count how many times during the course of my work, in both hospital and private practice, that women have come to me and said, 'The doctor made me feel like there was nothing wrong with me and it's all in my head.' To me, that phrase says it all. That women in the 21st century, educated and advocating for themselves, continue to have their thinking about their own health and their own intuitions questioned and demeaned by physicians and other health care providers reinforces SQHC: Status Quo Health Care. Every time a woman is belittled for asking her questions or researching her condition, she is less likely to go to the doctor for her concerns. She waits until the last minute to care for herself and it may be too late to have appropriate treatments. As far as I know, this type of research has not been done yet but should be: For women who are abused/neglected by the health care system, what are some of the health outcomes and consequences due to their disrespectful experiences? Among the many ways that women encounter trauma, it is often overlooked that seeking health care can be a traumatic experience. So many women have felt traumatized just from trying to get care for themselves. Feeling not listened to on a regular basis, being told that they are crazy or that they need psychiatric help when in fact they have physical symptoms. And because doctors can't put it together, or choose not to spend the time to put it together, women are shuffled along and their health care needs are not served. Sometimes it's a rare disease, or symptoms may come and go, or maybe it is scary to tell their provider all of their symptoms. Women tend to be less heard, less believed, and so, to me, are less served by most medical systems. But it doesn't have to be that way. For Dr. Shadigian, taking the time to listen to her clients and ask the right questions is the first step to determining their individual needs. If I do not know a woman's trauma herstory, I cannot know what may trigger her during a physical exam or even during a line of questioning. The reason I respect 'no' is a guiding principle is that when a woman is hurt, her ‘no’ does not matter. At WomanSafeHealth a woman's ‘no’ is just as valid and important as her ‘yes,’ if not more so. These guiding principles create a culture of safety and acceptance for each woman. WomanSafeHealth creates a healing community. This is part of the trauma recovery process, whether the trauma is new or old, personal or medical. Dr. Shadigian is offering something to her clients that most doctors do not: time. In taking the time to get to know each of her clients and their needs, and then taking the time to modify each woman's care to honor those needs, Dr. Shadigian and her staff build trust with each client, which creates and fosters a healthy relationship among them. “The relationship is part of the prescription. The relationship is part of the physical exam. The relationship is part of the treatment plan. The relationship is part of everything.” Just as Dr. Shadigian strives to be present in each encounter, the client is responsible for showing up, too, if true healing is expected to take place. Both the practitioner and the client may mindfully choose to get out of their ‘traditional’ roles a little bit. The practitioner can choose to work for the highest good of the woman and put her own ego aside and sometimes even her own training — she can choose to challenge preconceived ideas. She can be open and suspend judgment and say, 'Okay, where is the learning and truth for me, for my client?' And the woman can choose to stretch to become her empowered self and risk saying, 'You know what? I’m going to work towards my highest good. I will take a chance and see if this is a trustworthy practitioner and environment for me. I will test the process too, even if I’ve been hurt or disappointed before.' And that's hard, especially if the woman has experienced trauma or distrust or self-doubt. The WomanSafeHealth standard of support is unfortunately a standard that will be slow to reach our traditional medical establishment. But that doesn't mean women can't receive the care they need from their health care providers if they empower themselves to ask for what they need. A woman may insist on knowing a health care assistant's name or their role. We can ask the health care provider to sit at the same height as us and actually look at us rather than a computer while we're speaking, or decide not to remove our clothes before a physician enters the room even when we're directed to do so. We can decide if we want any exam or how much of the exam to have done. We can say ‘no’ to the things we do not want. WomanSafeHealth is located at 2340 E. Stadium Boulevard, Suite 8, Ann Arbor, Michigan 48104. For more information, including details on their monthly open house, call (734) 477-5100 or visit www.womansafehealth.com.